Hello my lovelies! The weekend flew by as usual and it's Monday again. The sun is shining so I can't complain. Somehow it seems that everything goes wrong just because it's Monday, but I'm proud to say that I remained calm whatsoever. What I lack is inspiration, hence the uninspired title of this post. You'll have to bare with me though and focus on the nails. After last week's almost Tiffany blue nails, I was in the mood to wear a favorite of mine, namely China Glaze For Audrey. So I went on and painted two coats of it on my nails. I then decided to pair it with gold because I think they go perfectly together. 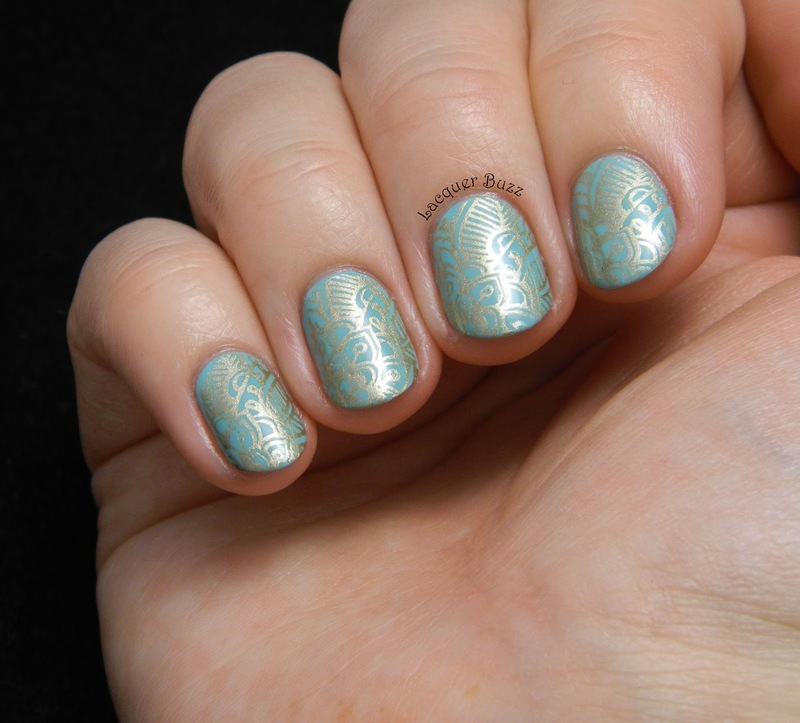 I chose an image from plate BP-L008 from the Born Pretty Store and used China Glaze Passion for the stamping. 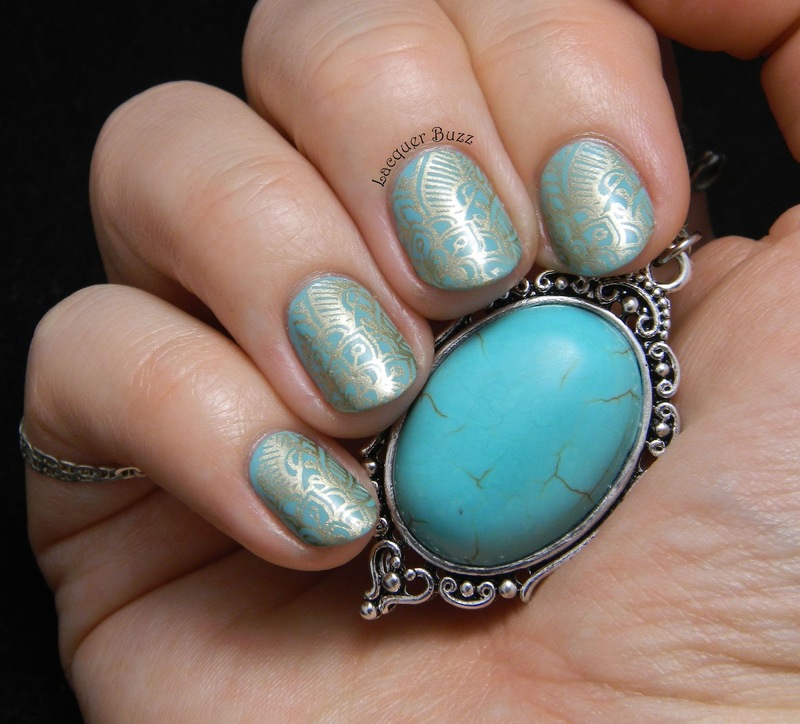 This combo reminded me of turquoise (the stone) so I took some photos with the turquoise pendant I have. The color is not identical but it's pretty close. Don't forget to use code MFL91 to get 10% off your order from the Born Pretty Store. And make sure you check out the other Monday Blues of March in the links below! Its so pretty and it did remind me of a turquoise stone too. Absolutely beautiful!! Love this combo! Love the combination! Super nice manicure!